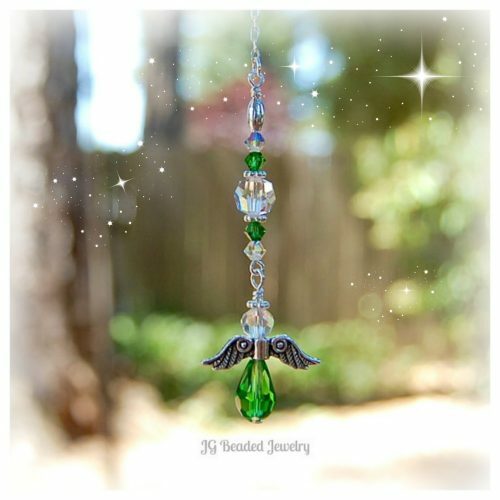 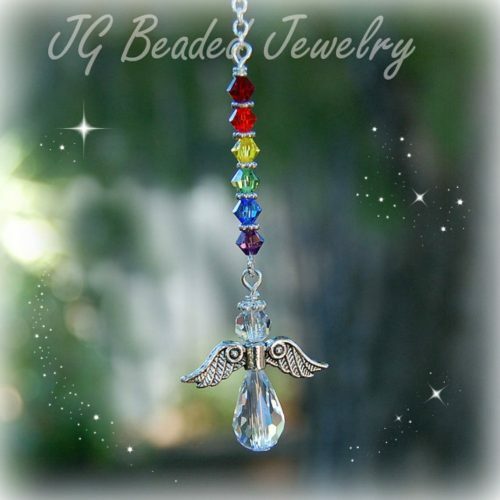 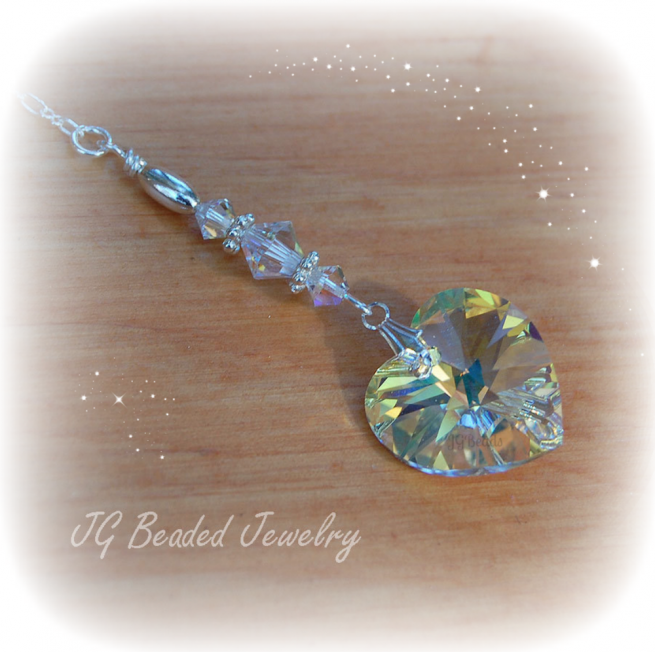 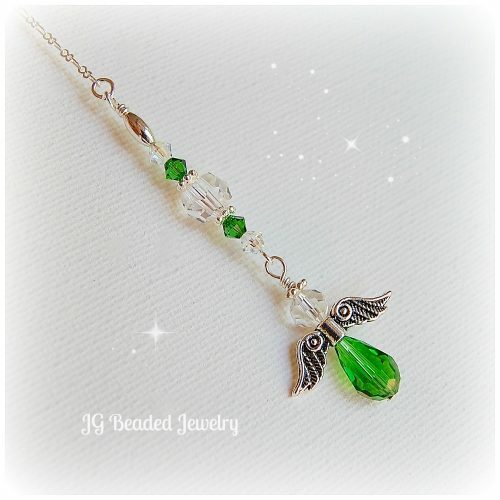 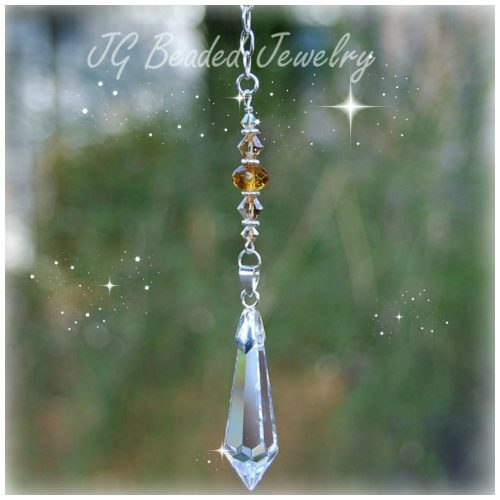 This Swarovski crystal heart charm is designed with an 18mm clear faceted Swarovski crystal heart with an Aurora Borealis finish and hangs from a silver bail. 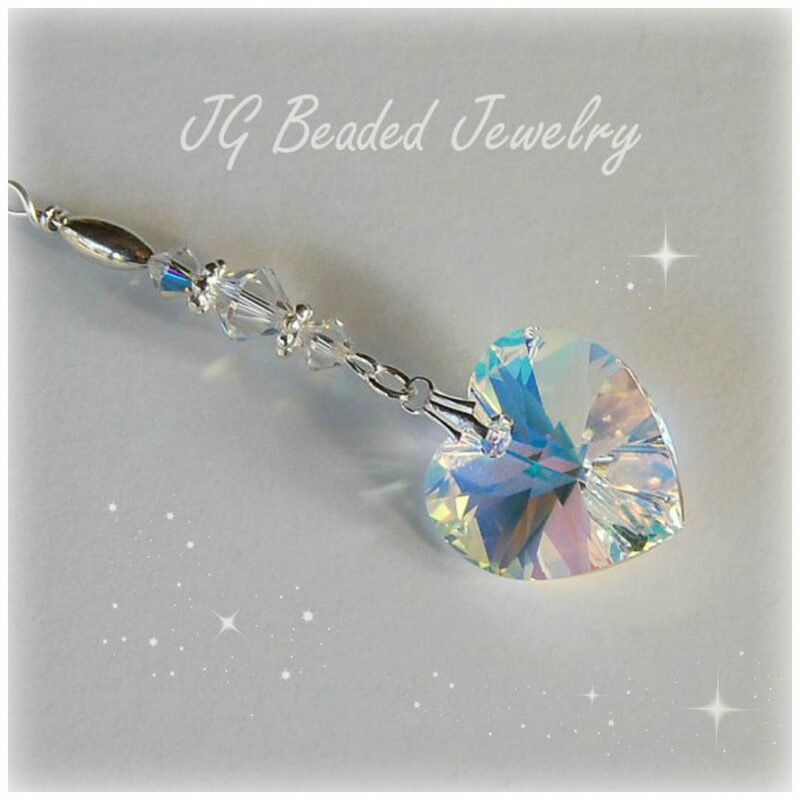 The lovely Swarovski crystal heart is embellished with iridescent Swarovski crystals, fancy silver metal beads as accents. 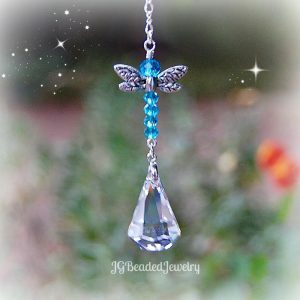 Find many more crystal hearts here!